BioLife Organic Spa is the first Beauty Salon in Chicago which offers Eyebrow Extension. The Eyebrow specialists applied individually to either the eyebrow hair, or directly to the skin. 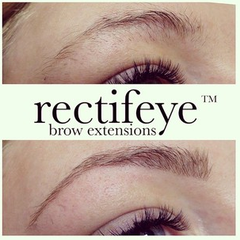 We can now transform ANY eyebrow into a perfectly sculpted eyebrow, in one appointment! Brow Extensions are waterproof, sweat proof, and safe for sensitive skin! They last 2-3 weeks on the skin with proper care!